I read Cinder quite a while ago, and Maddie had been encouraging me to continue the series for ages, so I thought it was about time I did! She’s always said that Scarlet and Wolf were her least favourite pairing, but let me tell you they were my FAVOURITE. 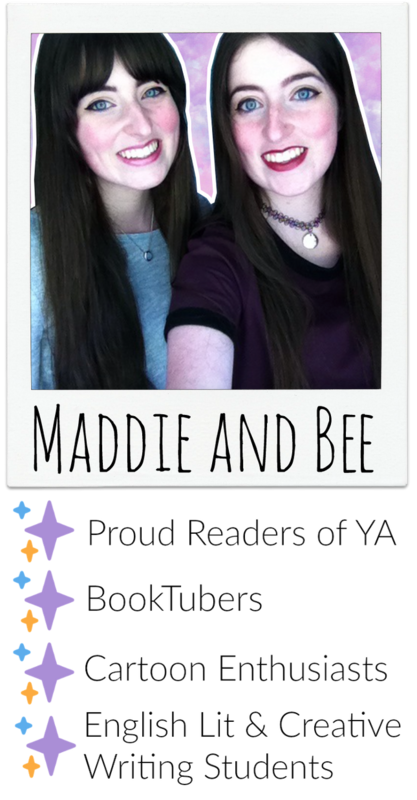 They have all the elements that I love in a good YA romance, so yay! Although I didn’t enjoy Scarlet as much as I did the first book in the series, it was still a page-turner and definitely worth a read! Firstly, I’ll start with Scarlet, the eponymous character! Scarlet’s Red Riding Hood adaptation fit perfectly with what was already happening in Cinder’s story. Scarlet was strong and self-motivated, what some people would consider selfishness – in regards to her doing whatever she must do to save her grandmother, no matter who was in the way – I interpreted as dedication to her family. Her parents weren’t around so she had her grandmother to look after her, and the seamless details of the original tale were excellently explained. 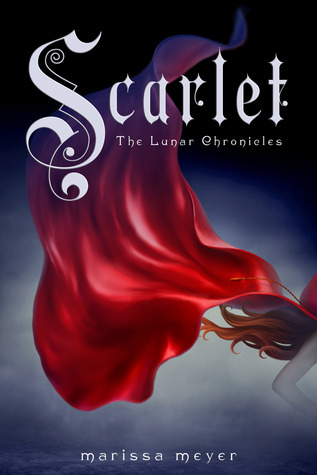 Scarlet goes through a lot when her grandmother mysteriously disappears, but she’s resourceful, so she doesn’t let that stop her. Wolf is Scarlet’s love interest, and I honestly love him. I think that he’s a really misunderstood character! BOY was there a plot twist that I didn’t see coming (well maybe a little bit) and it meant I couldn’t put this book down. Wolf’s adorably vulnerable especially when he loses control, but you can see how much he cares for his loved ones. I just wanted to give him big hug! I was surprised that there wasn’t more romance, to be honest. They got to share one kiss – it was perfection, by the way – and other than that Scarlet kept trying to deny her feelings. No. I hate it when this happens, she needed to be true to herself. But then again, at the same time, I was glad that there wasn’t too much emphasis on their relationship as the situation was incredibly serious and a relationship when you’ve been captured by the enemy and your grandmother is being tortured isn’t exactly appropriate. I have high hopes for the pair of them in Cress. And, finally, Carswell Thorne, Cinder’s new partner-in-crime. He’s very much the comedic light relief, which I was grateful for as he really balanced out all of Cinder’s worrying and deep emotional questioning. His witty banter was fun to read and I can’t wait to see how his character progresses, as I’m pretty sure he has some skeletons in his closet. I’m also told that he is Cress’ love interest so I’m excited to find out more about his in the sequels. It was great to read about Cinder again too, but I can’t say the same thing about Kai. All of the characters are really going through a rough time, where they have to figure out who they are and who they’re willing to be. Kai’s chapters were so incredibly boring! Am I allowed to say that? But I mean, come on, they were. I know that they were necessary so that we knew what was happening with Levana and the Lunars but he was always about three steps behind every one else. Having read Cinder we all know who Princess Selene is, so it was a bit annoying having the characters try and find other candidates when it was pretty obvious! The plot was other wise action packed and I really enjoyed the plot twists. There weren’t as many big reveals in Scarlet as there were in Cinder and I felt like the whole time that characters where just playing game of catch-up. Also, the cut points, although suspenseful, could be incredibly annoying. Sometimes I found myself skipping Cinder’s chapters (going back to them later) so I could see what was happening with S&W. I mostly skim read my way through Kai, because I was too frustrated with his inability to put two and two together. Overall, I have Scarlet 3 stars because I would’ve liked more romance. It’s quite interesting to read a series where main characters can be introduced half way through a series, and I hope that this won’t restrict character development. So far, candidates for themes development are Cinder and Thorne, I feel that Wolf needs more ‘screen time’ too because I want to know more about his backstory as it very loosely explained. Im looking forward to Cress and I would definitely recommend continuing with the series if you haven’t already!